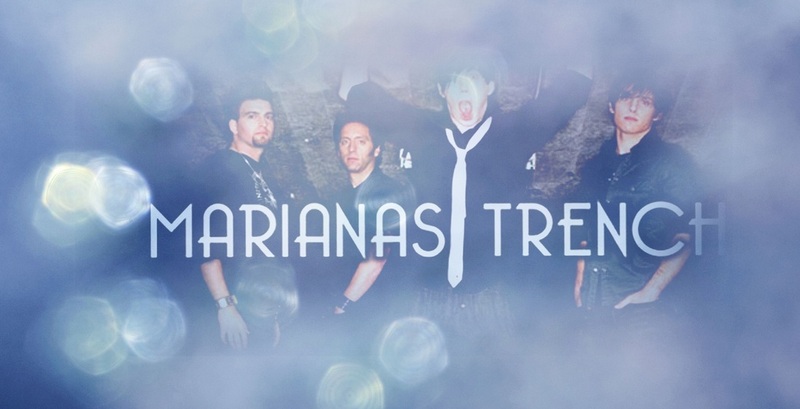 Ocean deep, moonshot high: Marianas Trench likes to push the extremes. Drinking deep from the goblet of rock, the band delivers lean, tuneful, hyper-excitable guitar anthems that kick loud and hard. Yet soaring in and around the guitar/bass/drum fury are four highly trained singers with choir-boy backgrounds and the skill to break into a cappella flights of harmony. The result: A novel mix of brash and innocent, yearning melodicism and over-the-top rock dynamics. The album’s 11 songs, all but two under four minutes, cram in more hooks and ideas than the pop medium can typically absorb. The Dave Genn-produced sound is raw and alive, marked by Ramsay’s wounded howl, the rhythm section’s lockstep surge and one flaming guitar riff after the next. As for the tightly arranged tag-team vocals, they’re the real deal, free from any post-production tweaking and a highlight of the live show. Over the years Ramsay has reigned in his hyperactive creative imagination. The learning curve was mastered with input from a string of producers. John Webster (Tom Cochrane) handled early demos. And once Marianas Trench was signed to 604, Warne Livesey (Matthew Good Band, Midnight Oil), Brad McGivern (Bif Naked, Lillix) and the Nickelback combo of Chad Kroeger and Joey Moy helped refine the material further.